Dakota Johnson and Cara Delevingne FaceTime Taylor Swift in a cute #FaceTimeSelfie. 24. 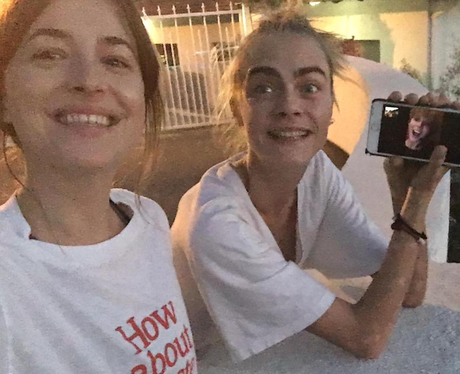 Dakota Johnson and Cara Delevingne FaceTime Taylor Swift in a cute #FaceTimeSelfie.